SIGNATURE: Artists monogram upper right. Signed and titled verso. An unparalleled history of international commissions has shaped Houghton’s artistic career. His residencies have included the Ben Ainslie Racing America Cup, Windsor Castle for HM the Queen and being official artist for the London 2012 Olympics. Houghton’s work is an ongoing study of movement. In addition to sport, he uses themes such as flight, space and time, to depict a broad variety of human endeavours. “As an artist l try to avoid comfort zones, push the boundaries and further perceptual horizons. I have worked with a number of world class athletes in many different fields, all of whom drive themselves to the limit. I hope my paintings capture this human sense of purpose, adding to the legacy of sport and adventure”. 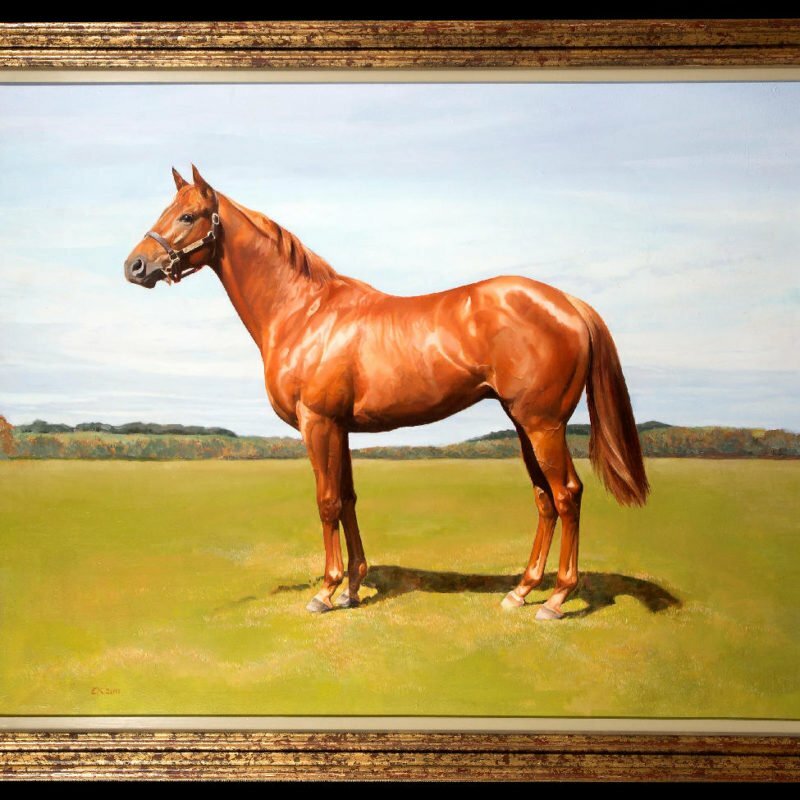 Houghton’s work reinforces the relevance of sporting art in contemporary culture. His visual narratives are conveyed with a depth and empathy often absent in the overcrowded genres of photography. 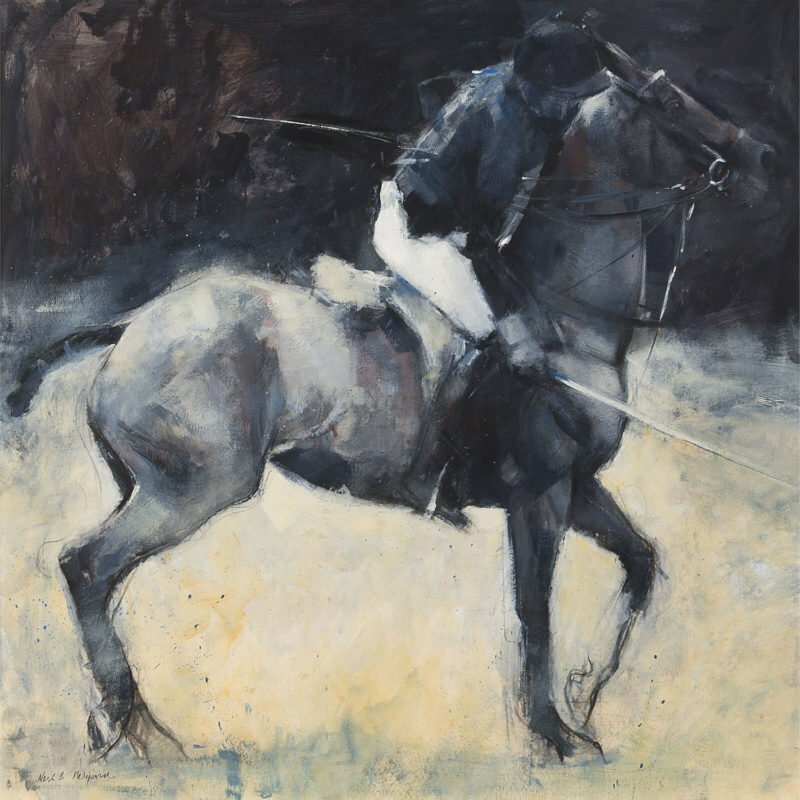 Paintings from his sporting portfolios provide a unique visual narrative that his residencies have used to connect with fans around the world.